Pesticides in your baby’s food and how you can protect your baby from them. A natural concern about what you are feeding your baby worries all parents. Should you be concerned about pesticides in the food your baby eats? Yes. 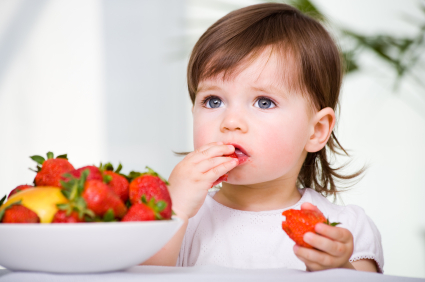 Pesticide residues are often found on produce – fruits and vegetables – that are an important part of your child’s diet from the time he starts eating solids. Pesticides help make groceries more affordable by saving crops from damage. But research shows that pesticides contribute to a wide range of health problems, including cancer, lung disease, reproductive problems, and possibly disorders of the endocrine and immune systems. Animal testing also indicates that pesticides can cause permanent changes in brain chemistry that may lead to behavioral disorders, learning disabilities, and even long-term damage of the brain and nervous system. Pesticide exposure can affect your baby today as well as in the future. In fact, some of the effects may not become apparent until later in life. Children more vulnerable to the dangers of pesticides than adults are for several reasons: Children tend to eat a limited number of foods, which can increase their exposure to specific pesticides. They also eat more food relative to their body weight than adults do. Children may also absorb pesticides more easily. And because of their still-developing gastrointestinal tract, their bodies may be less capable of breaking them down. Also, pesticides can block the absorption of nutrients that are vital to healthy growth and development. Food isn’t the only way your baby can come into contact with pesticides. Pesticides also make their way into drinking water. And if you use pesticides in your home or yard, your baby will also be exposed. For example, your baby could even ingest pesticides after they’re brought into your home on the soles of shoes if he puts something he’s picked up off the floor into his mouth. Pesticides can cross the placenta, which means that pregnant women need to take care to avoid contact. There are regulations that protect your child from pesticides in foods. In the United States, there are regulations that intend to do that. The Environmental Protection Agency (EPA) sets limits on the amount of pesticide that may be used on crops. The limit is based on how toxic the particular pesticide is, how much pesticide residue will remain on the crop, and how much of the crop a consumer is likely to eat. Some consumer advocacy groups believe that limits on pesticides should be stricter to protect children. The USDA’s Pesticide Data Program tests foods for pesticide residues. According to the program’s annual report, 78 percent of the fresh fruits and vegetables tested — and 38 percent of the processed fruits and vegetables — showed detectable pesticide residues. Low levels were found in some dairy products. Fresh fruits and vegetables have higher residue levels than canned varieties. Foods grown for processing don’t need to be cosmetically appealing, so they normally aren’t sprayed as much just before harvest. Also, when foods are processed, they’re often peeled, washed, or heated, which removes many pesticide residues. Don’t limit the amount of fresh fruits and vegetables that you feed your baby. Don’t avoid fresh produce out of fear of pesticides. The American Academy of Pediatrics (AAP) points out that the negative impact of not including fruits and vegetables in your child’s diet is far greater than any potential risk from pesticides at the levels found in produce. And there are things you can do to reduce the amount of pesticides your baby consumes without restricting produce in his diet. 1. Peel fruits and vegetables, and remove the outer leaves of vegetables like lettuce and cabbage. 2. Scrub all fruits and vegetables that you choose not to peel, under running water. A produce wash product may also help. For foods that are more difficult to wash — like strawberries, grapes, broccoli, lettuce, and spinach — soak them briefly, then rinse them. 3. Choose produce that’s free of mold, bruising, and decay. These are likely to harbor more pesticides. 4. Cut the animal fat. Some pesticides (and other environmental chemicals) are concentrated in the fat and skin of poultry, meat, and fish. Trim the fat off meat and take the skin off poultry. 5. Buy organic foods, especially when buying higher-risk items like fruits and vegetables and foods that your baby eats a lot of. 6. Source and look for locally grown produce. Fruits and vegetables that are grown far away require after-harvest pesticides and waxes to help them survive the long trip. And produce that has to travel is often picked before ripening, which reduces flavor as well as nutrients. 7. Purchase seasonal produce. While it seems like a treat to buy juicy red strawberries or tomatoes in the dead of winter, food grown out of season usually comes from another hemisphere. Again, this produce will be picked earlier and will probably contain more pesticides. 8. 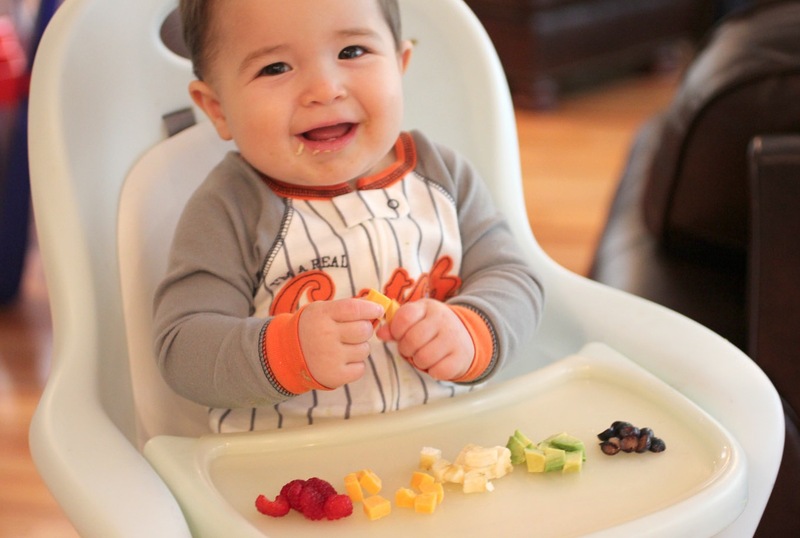 Serve your baby a wide variety of foods, especially produce. A varied diet will limit repeated consumption of the same pesticide. So, it is you who can make informed choices for the well-being of your baby. Try and limit your baby’s intake of harmful pesticides and read the labels carefully of the produce you purchase at grocery stores. Switching to Organic Baby Food is a great option. If you can, try to grow a small vegetable patch in your home, just for your baby. If you can’t, there’s always Organic Baby Food you can buy that is being sold in stores globally. Categories: Did You Know?, Eat Green, Live Green, Natural Mantra, Organic Living | Tags: Baby Food, Eat Clean, Eat Green, Fruits, Natural Mantra, Organic Baby Food, Pesticides in Produce, Seasonal Produce, Vegetables | Permalink.